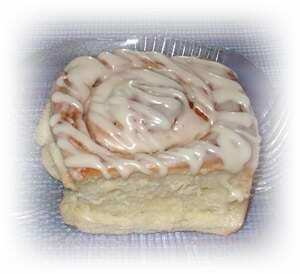 This sweet roll has orange flavored frosting. Great for desserts or take them to work with you. King size (4″ x 4″). If they are too big for a serving you can cut them in half and share with someone.